Architect: Studio 3 Design, Inc. 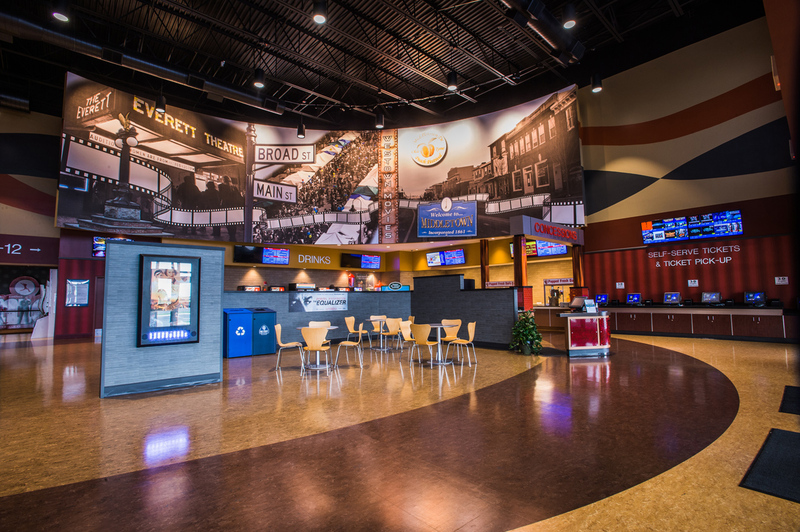 The Westown Movie Theater is located in Middletown, Delaware at the Westown Town Center. 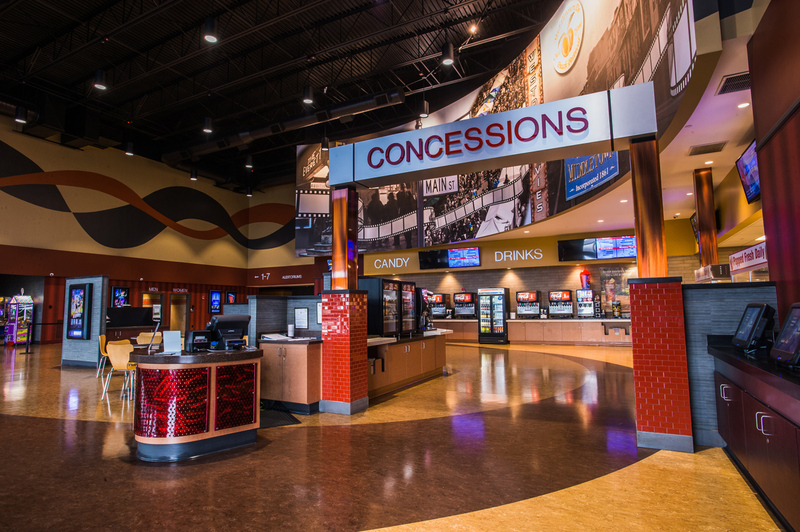 There are 12 state of the art theaters, including a brand new GTX digital sound system. 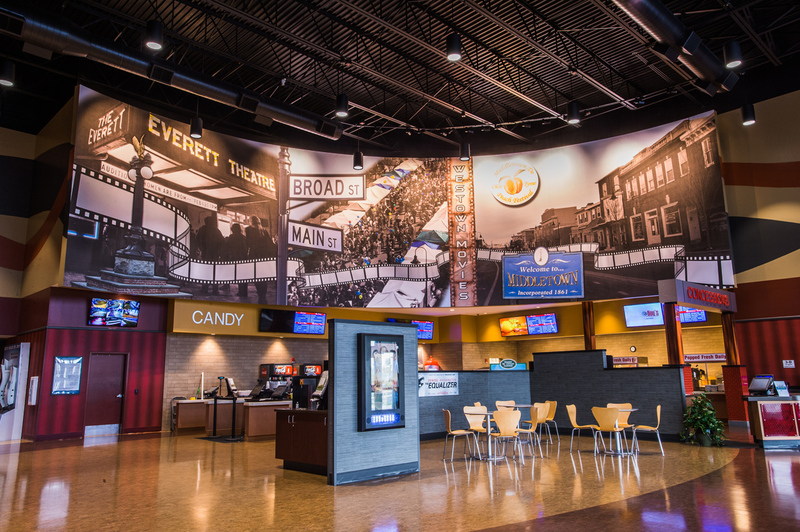 In order to open the theater for the blockbuster Holiday season, an aggressive schedule was required in order to build this project in just under 8 months. A fast track design build approach was used to help streamline the schedule. GGA met with the architect during the design process to help select materials and building systems to accelerate the schedule. An ICF wall system was chosen to provide a faster installation as well as provide the insulation value required by each theater. The mural in the main lobby is the centerpiece. Meetings with the Town of Middletown allowed us to feature local attractions in this mural. Pastel Painters helped select a manufacturer that could aid in the production quality of the mural.